Our feature-rich, cloud-based worksheet makes it easy to stay on top of planning & budgeting your wedding. 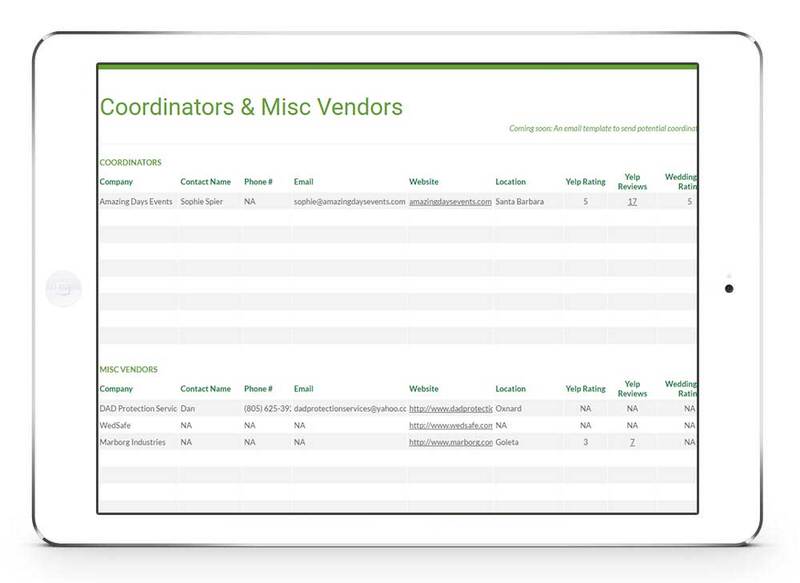 Save time by staying organized and money by keeping your vendor comparisons and research all in one place. Access and edit WedSheet anywhere — from your phone, tablet, or computer — even when there’s no connection. Our wedding planning checklist and $40k sample budget lets you know your next steps and how far your money will go. 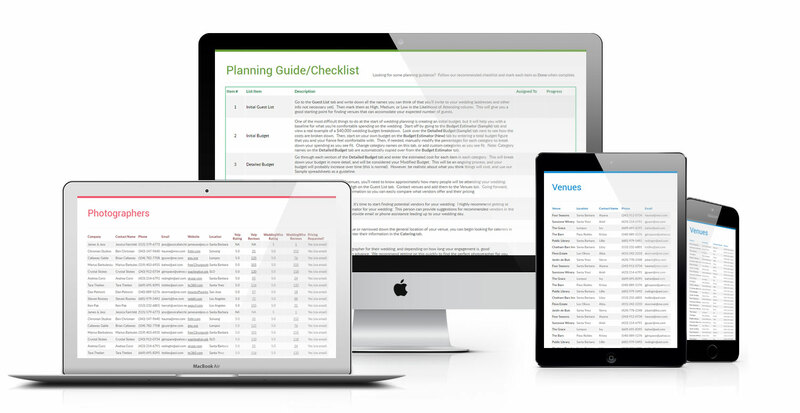 With 25+ tabs of information and organization, WedSheet gives you complete control of every aspect of your wedding. In this day and age, weddings have become a societal phenomenon. With television shows, magazines, and entire industries dedicated to weddings, the planning phase can be overwhelming. That’s why we created WedSheet. 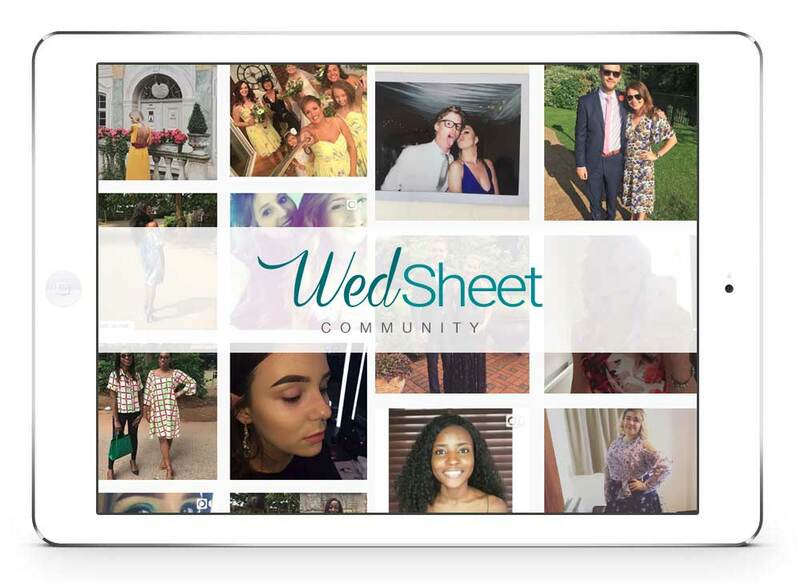 WedSheet takes all the elements of wedding planning and budgeting and combines them into one format – the spreadsheet! 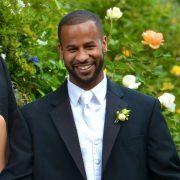 Using WedSheet will save you time, money, and keep you and your fiance in organized during a sometimes hectic process. Share WedSheet with your fiance, friends and family… and make changes in real time! 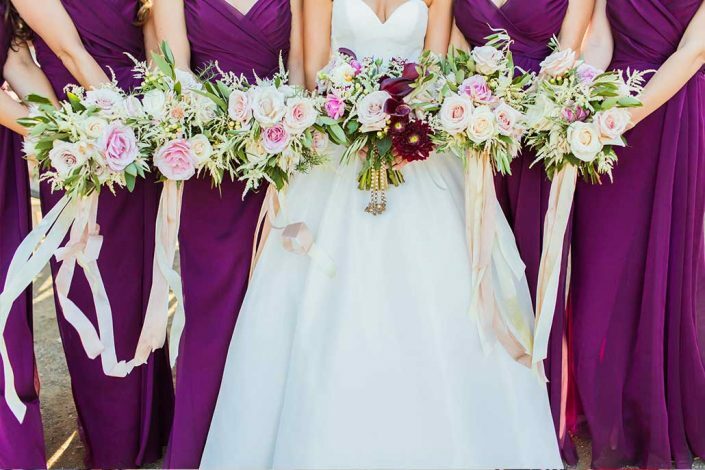 The ultimate wedding planning spreadsheet. Over 25 tabs to keep you organized! From guest lists to gifts and venues to videographers, planning a wedding has many little details that can be overwhelming and potentially overlooked, along with the additional challenge of staying within your budget! WedSheet is designed for people who like to make smart decisions and get the most out of their money while staying organized. Each element of your wedding planning and budgeting has its own tab, so you can keep things tidy and make the right decisions for your big day. Step 3 – Pay Your Vendors: Keep track of how much each vendor is owed and make sure they are paid! One of the biggest challenges of planning is wedding budgeting. How do you know what your initial budget should be? What can you get for your money? How can you possibly stay within that budget? 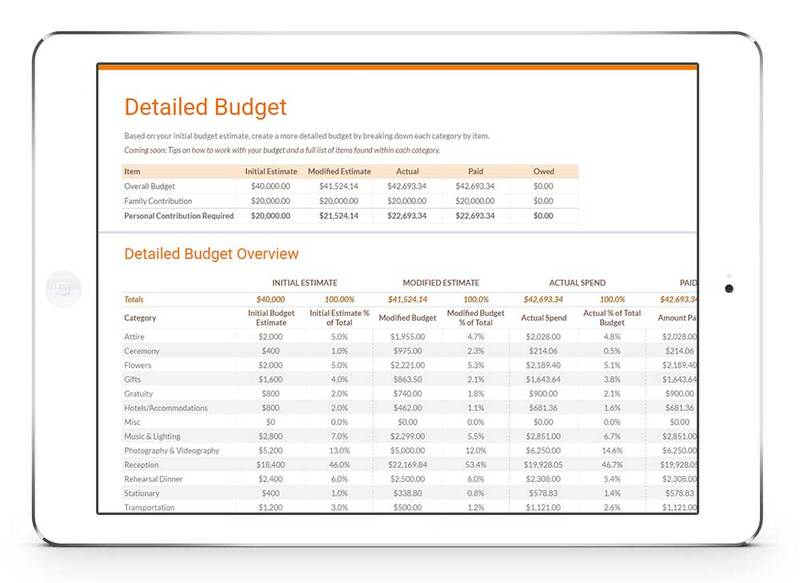 WedSheet helps you by estimating your intial budget by category and breaking down each expense into a line item. 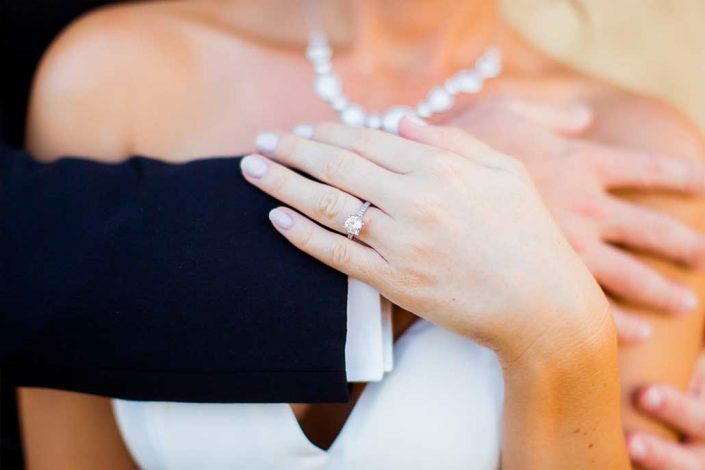 Going over budget while wedding planning is typical, but our budgeting system helps establish a more realistic inital budget and helps you stay within it as you move forward with your planning. Wondering how much you can get for $40,000 in Santa Barbara County? Our sample wedding budget breaks down each expense so you can see exactly what we got for our money! 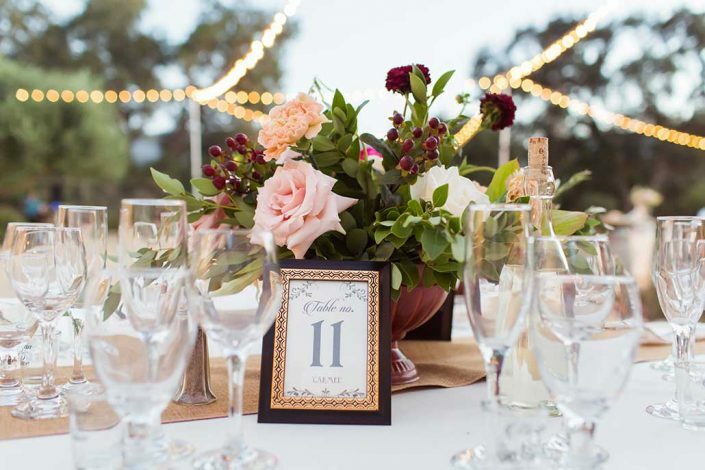 Finding the right vendors is a critical part of the experience your guests will have on your wedding day. 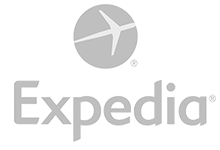 WedSheet lets you easily compare cost and reviews of each vendor for each category, using ratings from Yelp, WeddingWire, TripAdvisor and Expedia. WedSheet has everything you need to get started and stay organized. 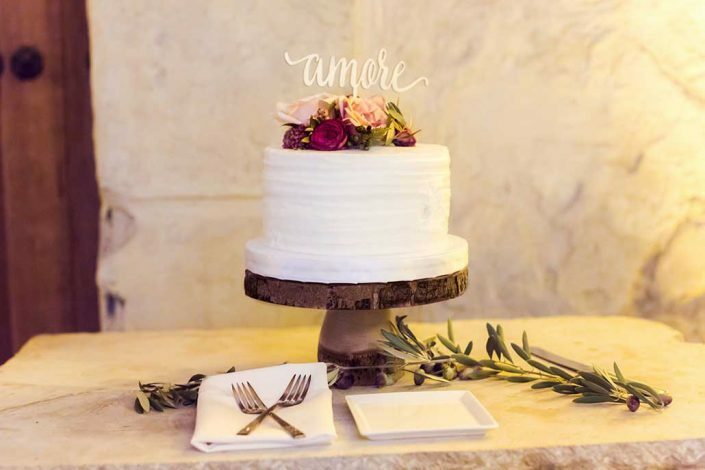 Our 20 point checklist will guide you through the entire wedding planning process. 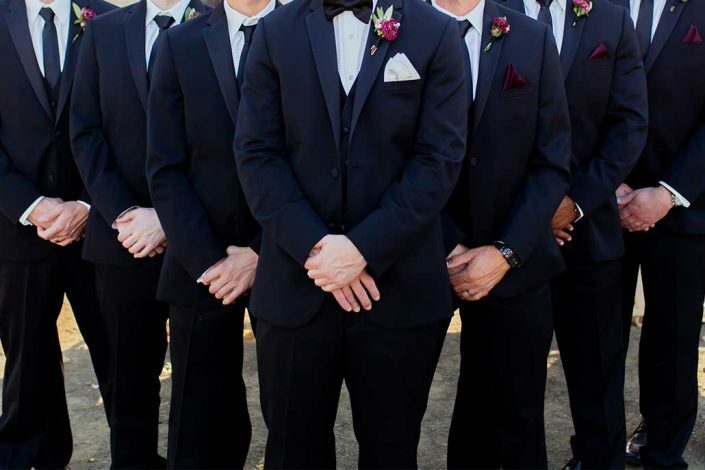 Our wedding budget estimator, detailed budget, and budget by vendor sheets will help keep you on top and in line with your budget. 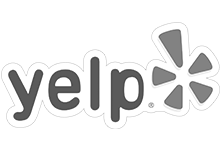 List your different vendor options and review ratings while researching each part of your wedding. 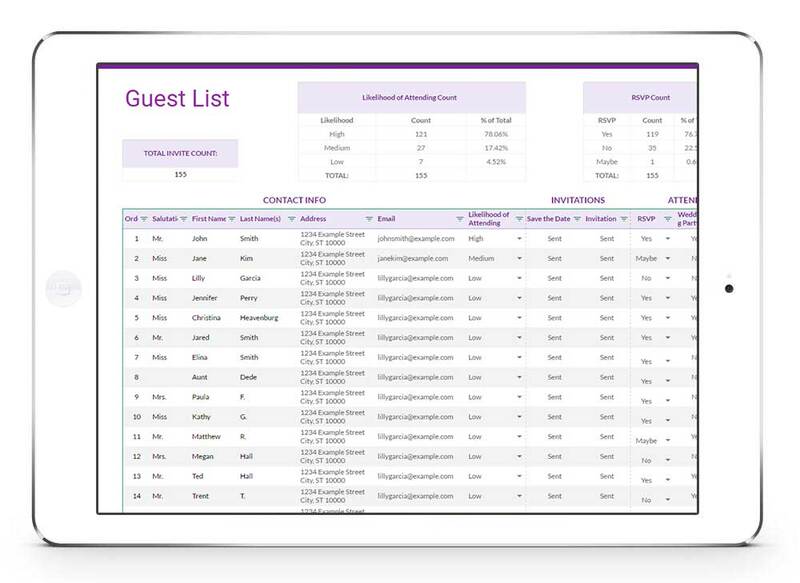 Our detailed guest list and seating chart spreadsheets will help you stay organized. Share your work online with your fiance in real time with no saving or emailing back and forth necessary…access WedSheet from anywhere! 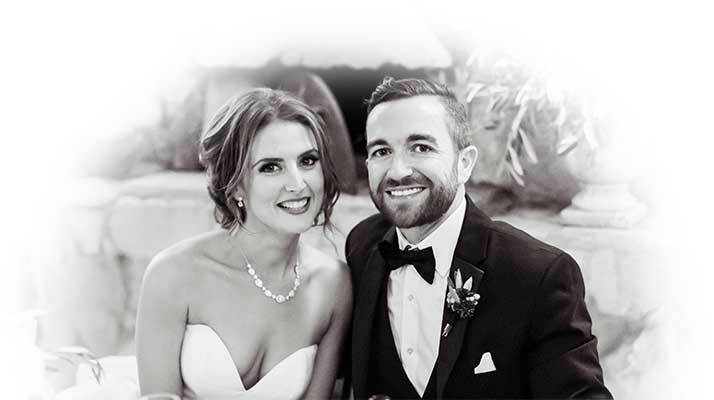 Get tips from couples who have planned their own weddings, access to our member community, and view our WedSheet showcase (coming soon). As a planner, it was very overwhelming for me to think about planning my own wedding when I’m so used to doing it for other people. 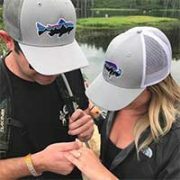 WedSheet helped me and my fiance organize our ideas and budget to plan our dream day. I love the budget estimator and detailed budget worksheets. I used these every day during my wedding planning. And it was easy to share the document with my fiance as we both made changes while at work. Great job WedSheet! 5 stars! Just got my WedSheet and couldn’t be more obsessed!!! Talk about having every single detail down (even some I would have never thought of!). Looking forward to this spreadsheet organizing the entire process, from start to the aisle. Thanks WedSheet! How well do I need to know how to use a spreadsheet? WedSheet is designed for beginners, but can be modified by advanced spreadsheet users. Our User Tips tab also assists beginners with commonly used functions. Can I access WedSheet on my phone and tablet? Yes! You can access WedSheet on iPhone and Android devices through a browser or the Google Sheets app. Can I share my WedSheet work with my fiance? Yes! 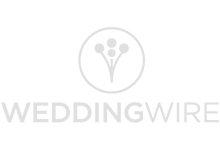 WedSheet is a Google Sheets document that can be privately shared with people via email invite. Is WedSheet available in Excel format? You can easily download this document as an Excel file (.xlsx). 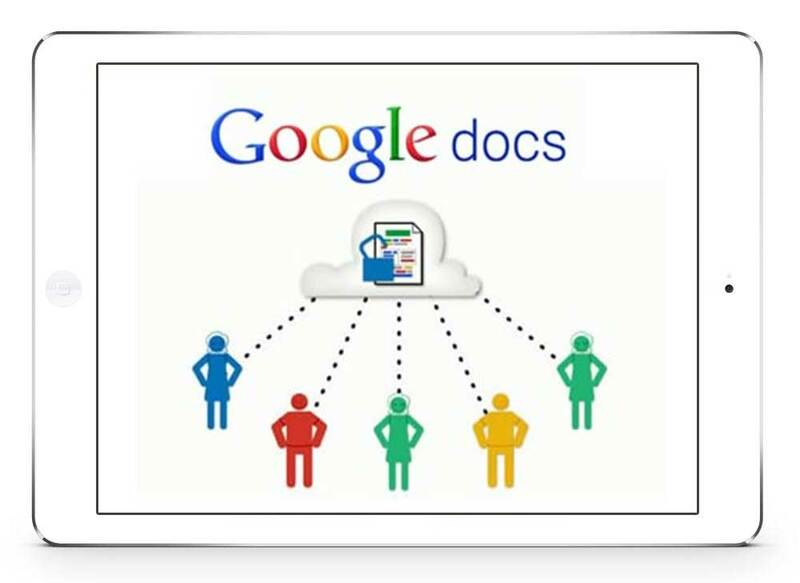 However, the cloud-based sharing capability of Google Docs is what really makes this spreadsheet unique and useful! WedSheet was created while planning our own wedding. With our busy schedules and so much to keep track of, we needed a single shared document that could updated at any time of the day, from any location. This was an invaluable tool that we used daily, so we thought… this could help other people! And WedSheet was born. 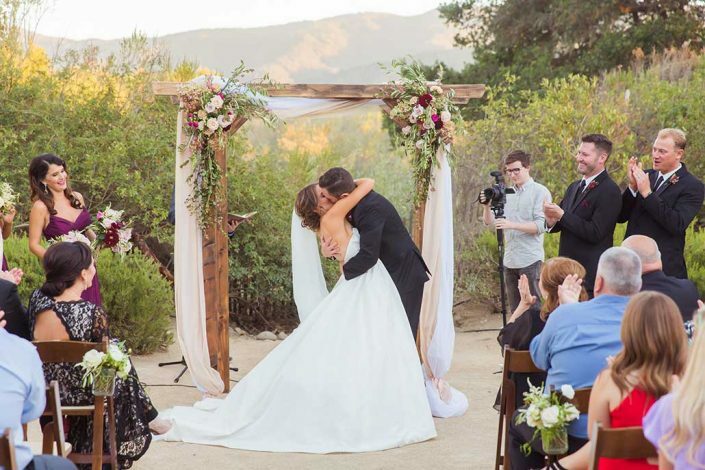 Start wedding planning with WedSheet! Save time and money while staying organized during your wedding planning and budgeting. 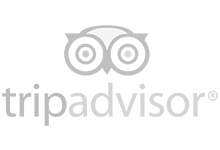 Get started with WedSheet today! Copyright © 2017 WedSheet. All Rights Reserved.